The Rogue One box office is already up to $357 million worldwide! 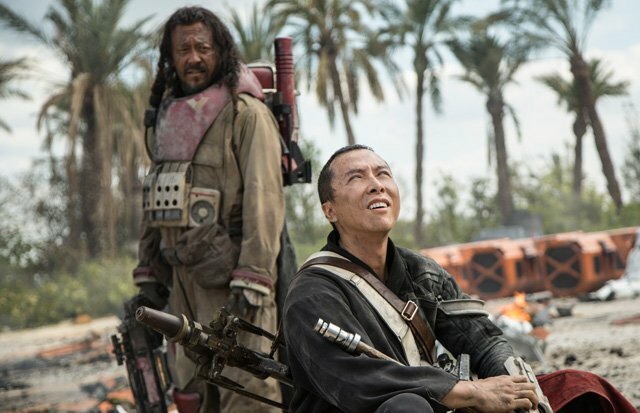 The Star Wars film did not lose any steam on Tuesday, adding another $17.6 million domestically and $16 million internationally, for a global day of $33.6 million. Rogue One: A Star Wars Story has now earned $190.2 million in North America and $166.8 million overseas. From The Walt Disney Studios and Lucasfilm comes the first of the Star Wars standalone films, Rogue One: A Star Wars Story, an all-new epic adventure. In a time of conflict, a group of unlikely heroes band together on a mission to steal the plans to the Death Star, the Empire’s ultimate weapon of destruction. This key event in the Star Wars timeline brings together ordinary people who choose to do extraordinary things, and in doing so, become part of something greater than themselves.